To celebrate the reopening of Creators Space, we invite you to experience the joys of creating with us on March 23rd! 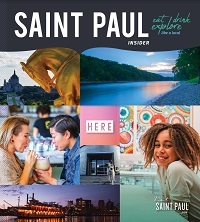 Explore the best of St Paul food in the heart of downtown on this indoor food adventure. You’ll learn about the Capital City’s food culture while exploring the city’s rich history.